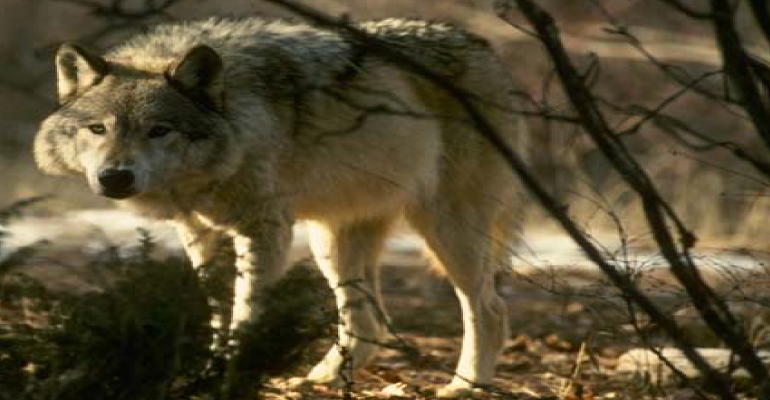 Homearizona newsAre Mexican wolves in Arizona actually wolf-dog hybrids? There is another issue: there is some evidence that the captive bred and wild Mexican wolves in Arizona are actually wolf-dog hybrids or wolf-coyote hybrids which would make them ineligible for protection under the Endangered Species Act. The Southern Arizona Cattlemen’s Protective Association (SACPA) has archived correspondence regarding this question at http://www.sacpaaz.org/news_education/dna-question/. I will summarize the material. Besides wild caught wolves, there are three lineages for Arizona Mexican wolves included in the FWS captive breeding program named the “Ghost Ranch,” “Aragon,” and “Certified” lineages. These are the animals that FWS is releasing into the wild. The first item in the SACPA archive is a letter dated June 2, 1997, to the FWS from Roy McBride, the person who captured five of the foundational wild Mexican wolves from which the FWS experimental population descended. Mr. McBride writes that it was the conclusion of the original recovery team that all members of the Ghost Ranch lineage were wolf-dog hybrids, and that he is “shocked” that these wolves were to be included in the captive breeding program. “This was the primary factor behind the decision to seek and capture the remaining wild population, because it was the only pure genetic stock available.” The Ghost Ranch animals were from a private zoo in Carlsbad, N.M. and upon inspection, Mr. McBride had no doubt that these animals were hybrids. FWS responded that a review of data by a “genetics committee” concluded, in 1994, that all three lines, Certified, Aragon, and Ghost Ranch, were pure Mexican wolves. Woody notes that at the time, there was no taxonomic means of assigning an individual wolf to the Mexican wolf subspecies (Canis lupus baileyi). He also notes that the skulls of the Ghost Ranch lineage have definite characteristics of dogs. Woody says it is unclear whether this trait is due to hybridization or the effects of inbreeding. The genetic base of the captive breeding program is only four wild-caught wolves. Item three is a summary from the Mexican Wolf stud book, 1987. This report notes some problems with inbreeding. Item four is a partial transcript from Symposio Sobre Lobo Mexicano, which reported on field investigations of Mexican wolves in northern Mexico and southeastern Arizona. The study shows that the Mexican wolf population in Arizona is transient. Item five discusses the ancestry and distribution of Mexican wolves in the Southwest. The pedigrees of the founding members of the three captive bred families is murky. This paper suggests that members of at least two of the three lines had some dog-like characteristics. The “Certified” lineage was established from one female and two male wild-caught wolves. The origin of the original “Ghost Ranch” female is unknown. The original male was probably a wolf-dog hybrid according to reports documented at the time. The founders of the “Aragon” lineage were obtained from the Chapultepec Zoo in Mexico City, but the lineage is unknown. Cronin et al., 2014, Single Nucleotide Polymorphism (SNP) Variation of Wolves (Canis lupus) in Southeast Alaska and Comparison with Wolves, Dogs, and Coyotes in North America, Journal of Heredity, doi:10.1093/jhered/esu075. This paper says that the so-called Mexican wolf is not a valid sub-species; rather it is a hybrid with coyotes and possibly with dogs. It appears from these data that FWS is trying to establish a recovery program for an animal that is not a valid species, contrary to the Endangered Species Act. This whole “wolf” thing is a crock. Dogs pack up naturally. If people want to see dogs in the woods, here’s a thought: instead of euthanizing strays in the pounds, collect them and drop them off in the woods. Soon enough, they’ll be wild. Problem solved. Dogs not euthanized and people get to see wild dogs in the woods (if they’re not ripped to shreds first…). Round them up and “deport all of them” to mexico. Just like the criminal, illegal, alien, terrorist, combatant, invaders they are a plague on our nation’s monetary system involving the recreation the Cattle industry.